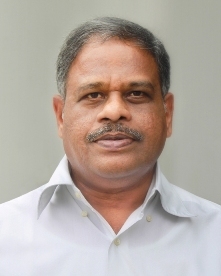 Sri Mamillapalli Sree Krishna, the Joint Secretary of VVIT holds a Masters degree in Computer Science and Engineering from JNTUK, Kakinada. He is one of the earliest members to have started teaching Computer Science and Engineering subjects in the entire coastal Andhra Pradesh. After completing his graduation in engineering from GITAM, Visakhapatnam, in 1987, he underwent training in the advanced computer science topics in NIIT. He worked as a faculty member in NIIT from 1989 to 1994. In 1994 he joined Sri Vasireddy Vidya Sagar, another young technocrat, to establish the first franchise centre of APTECH Computers in Andhra Pradesh at Guntur. Mr Sree Krishna’s contributions helped The APTECH Computer at Guntur to emerge as a centre of learning for those who aspired to be software professionals. In 2007 he Joined VVIT as the Joint Secretary. An alumnus of Sainik School, Korukonda, Mr Sree Krishna is an astute administrator. He has been a guiding force behind the success of the Training and Placement Cell of the College. Though he spends most of his time in the administrative work of the college, he always keeps himself abreast with the developments taking place in the field of technology.